The mobility of the future is electric. 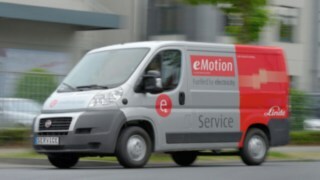 Whether in cars, bicycles or forklifts: electric drives are omnipresent today. For almost 50 years Linde Material Handling has been developing electric drive solutions for industrial trucks at the highest technical level. The systems have proven themselves in series production for years and set standards in criteria such as efficiency, power and economy. 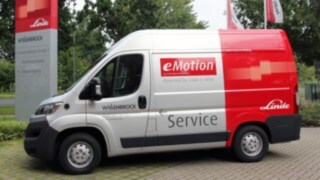 In 2010, Linde therefore began to systematically transfer the existing technology into other applications with partners under the eMotion label. Over the past eight years, fruitful partnerships with companies from a wide variety of industries have developed on this basis. The combination of Linde's technical know-how and our partners' product ideas has resulted in innovative eMotion solutions. 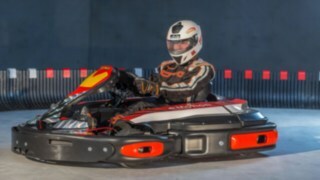 he Italian racing and rental kart manufacturer CRG and eMotion from Linde are cooperating on the development and production of the first electric kart from CRG "E-Drenaline". CRG designs and manufactures the chassis, Linde supplies the electric drive systems used in the series production of forklift trucks and is responsible for system integration..
During development, the focus was on drive power, speed and safety. Compact dimensions, low energy consumption, optimum weight distribution and longevity are also decisive. CRG also uses Linde connect remote diagnosis software to monitor the condition of all E-Drenaline fleets worldwide and carry out repairs within 24 to 48 hours. The fully equipped service vehicle based on the Fiat Ducato was converted with drive components from Linde electric forklift trucks and is intended for use in large cities and conurbations. Linde e-service vans thus help to reduce emissions in densely populated areas. In addition, the electric vehicle can also be used to carry out maintenance and repair jobs in the event of air pollution-related driving restrictions. A yard loader is extremely flexible: The "little brother of the tractor" can be used in many different ways, from transport work in agriculture and forestry to earth moving in the building industry and cleaning roads and pavements in municipalities. About 40 years ago Weidemann GmbH was the first to develop the Hoftrac. An electric model fitted as standard must have the same driving performance and dynamics as the version with an internal combustion engine and must not be significantly more expensive. 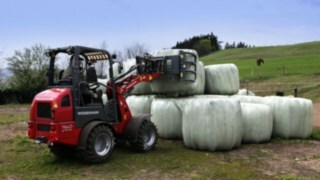 For the eHoftrac, Weidemann now relies on components and software from Linde Material Handling. The software for system communication was specially adapted to the performance spectrum of the yard loader. Following the success of the prototype, Linde supported the way to series production with its technological know-how and service offering. 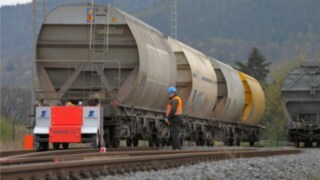 Draisines have to move locomotives and wagons weighing many tons. The special feature of the Rotrac is that it shunts purely electrically. The Rotrac is manufactured by Zwiehoff, the Rosenheim-based two-way specialist, while Linde Material Handling supplies the electric drive. At the heart of the drive system, which consists entirely of standard components, are two rigid axles, each with two integrated electric motors. This design is what makes the compact dimensions of the shunters built by Linde subsidiary Proplan in Aschaffenburg possible. Thanks to the single-wheel drive, the power packs on the ground are also very manoeuvrable, enabling them to move from track to track to the next location in a very short time, while a shunting locomotive has to travel to the next switch. The Rotrac is available in two versions: the E2 can move trains weighing up to 250 tons, the E4 can move up to 500 tons.